Let's head on into the park. 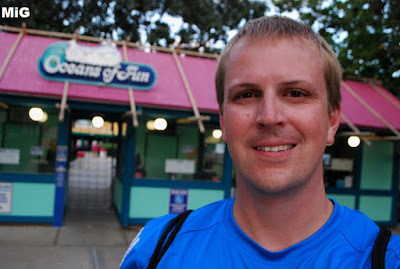 I started off my day at Paradise Falls. 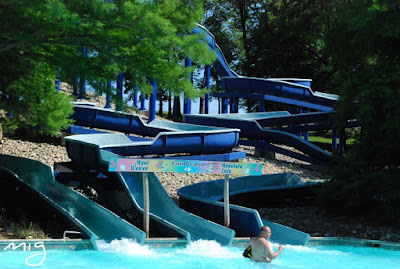 Some fun smaller slides in this complex. 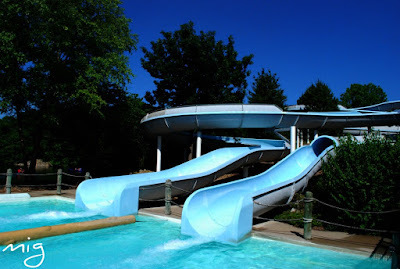 You can get some crazy air on this family raft slide. 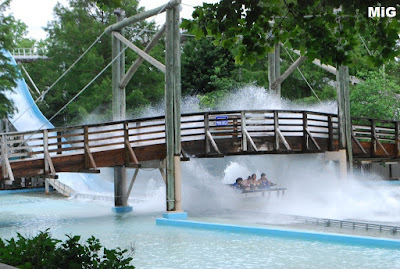 Here you can get a better look at Hurricane Falls. The lazy river, Caribbean Cruiser, circles the island where Hurricane Falls empties into. 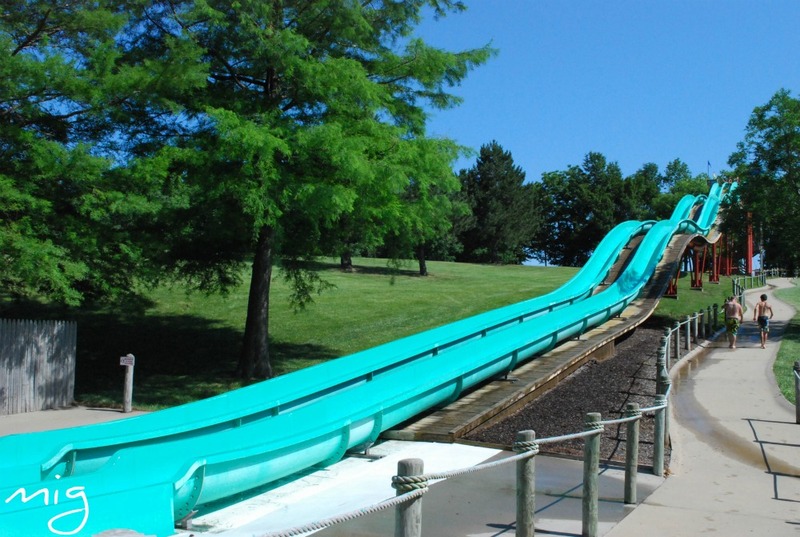 Diamond Head is an insane trio of body slides. Typhoon is a pair of racing body slides - and my favorite slides in the park. 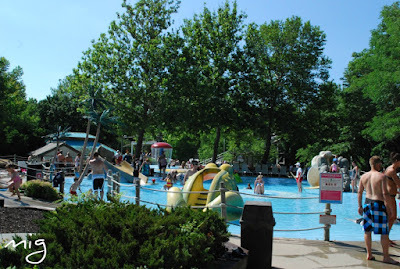 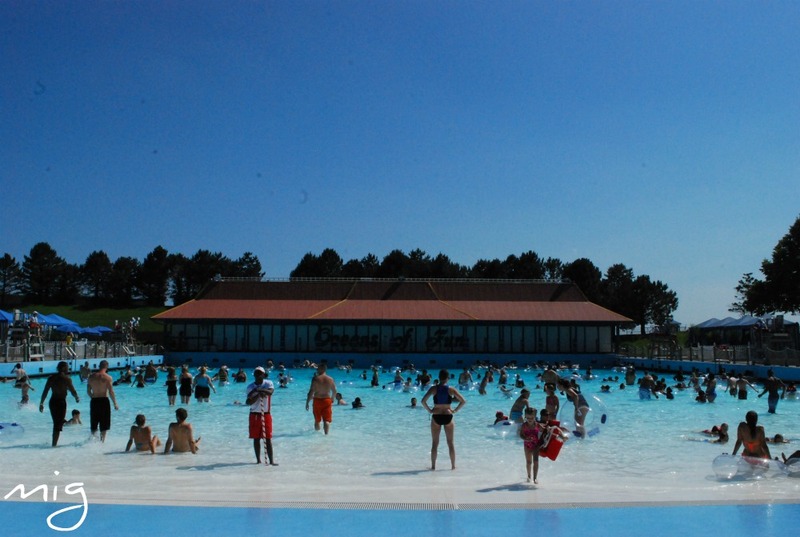 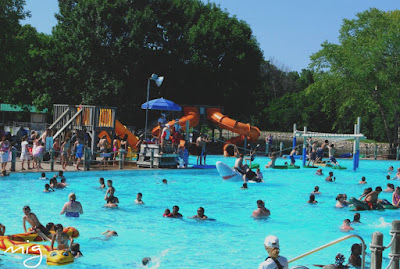 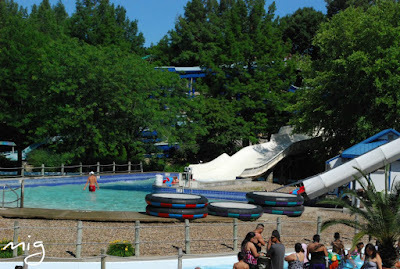 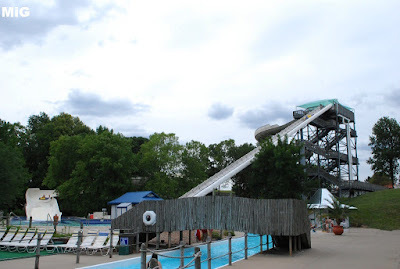 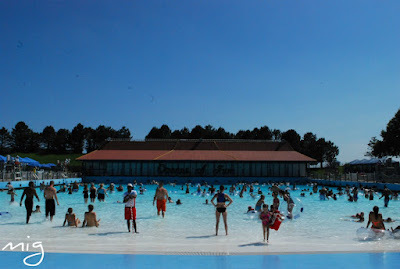 Coconut Cove is the large activity pool at the park. 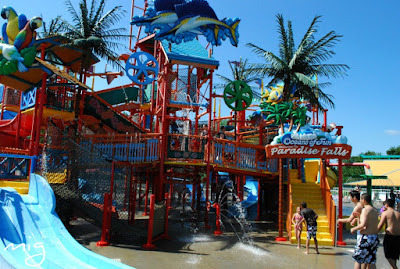 Aruba Tuba is a pair of tube slides. Crocodile Isle is the kiddie pool section. The final ride in the park is Monsoon, which is shared with Worlds of Fun. 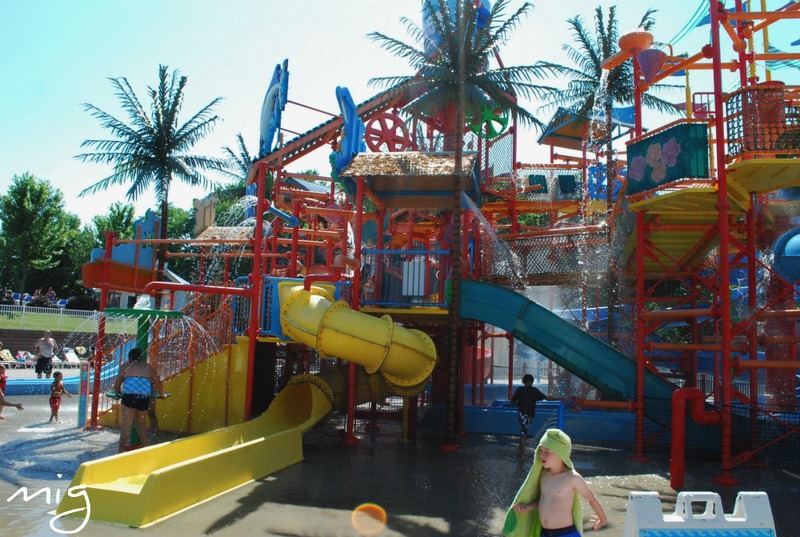 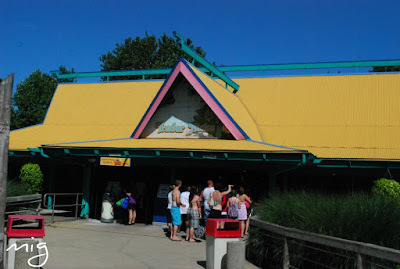 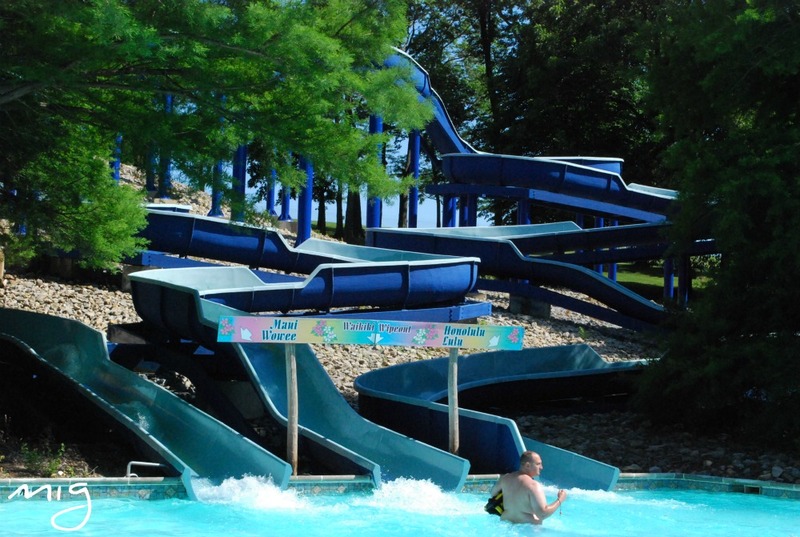 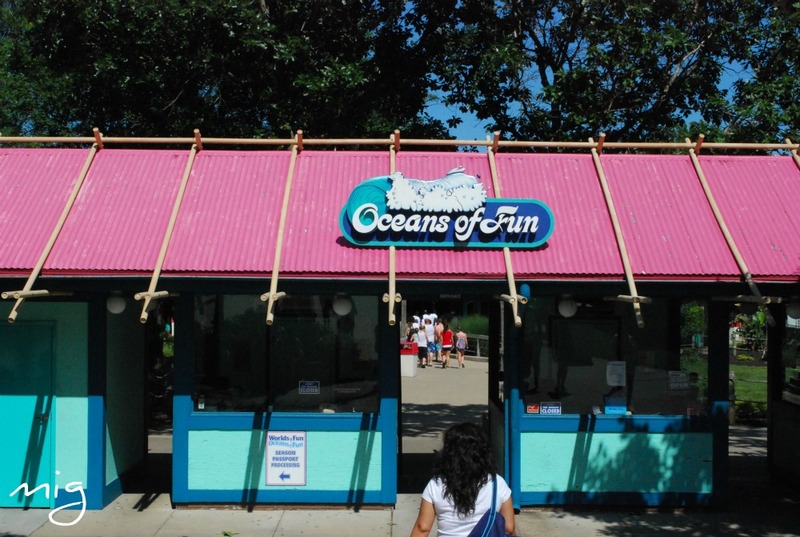 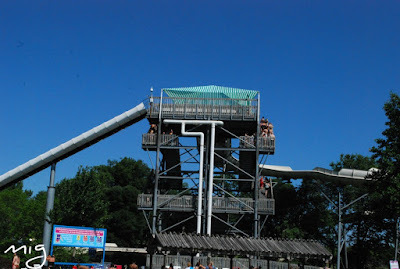 Oceans of Fun was a great way to cool off on this very warm summer day.